For many years, a fixed focal length (prime) 50mm lens was standard for film SLRs. Although 50mm lenses are not nearly as popular as they used to be, there are still many people who want one of these in their kit. Prior to the introduction of the Canon EF 50mm f/1.2L USM Lens, the Canon 50mm standard lens choices were the Canon EF 50mm f/1.8 II Lens (below left), Canon EF 50mm f/1.4 USM Lens (below center) and Canon EF 50mm f/2.5 Macro Lens. The f/1.8 lens is an excellent value (sharp images for a cheap price) but offers little in terms of build quality. AF is slow and loud. 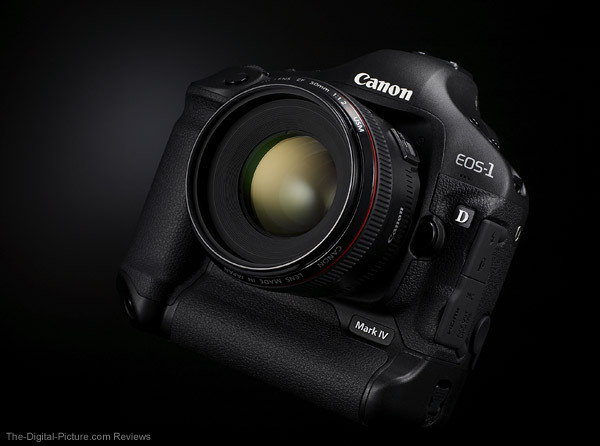 The f/1.4 lens is a step up in build quality but is still in the middle of Canon's build quality range. The f/1.4 offers excellent image quality if stopped down to at least f/2 or f/2.8. AF is quieter and faster than the f/1.8 but not as fast as Canon's best lenses - and is poorly damped. The f/2.5 macro is only half-a-macro (.5x), has mediocre build quality and has a rather slow aperture for a prime lens in this focal length range. It has slow, loud AF. A long-discontinued Canon EF 50mm f/1.0 L Lens is available for an extremely high price on the used market, but the Canon EF 50mm f/1.4 USM Lens was the best 50mm lens available new prior to the 50 f/1.2's release. There was definitely an opening in Canon's lens lineup for a new high quality, professional grade 50mm lens. Now the 50 f/1.2L (above right) enters the market. Being a prime Canon L Series Lens, the Canon 50 f/1.2 far exceeds all existing Canon 50mm lenses in nearly all aspects - including three negative ones: size, weight and price. Since Canon already has a 50mm f/1.4 lens, they would not release a slightly wider aperture version at a far higher price, size and weight without offering significantly better features and image quality. Otherwise, people simply would not buy the lens. The question is - are the actual differences enough? The Canon EF 50mm f/1.2L USM Lens looks like a smaller version of Canon's other current f/1.2 lens - the recently-released Canon EF 85m f/1.2L II USM Lens. The 50 f/1.2 is somewhat shorter and much narrower - 3.4 x 2.6" (85.4mm x 65.5mm)(LxW) compared to the 85's 3.6" x 3.3" (91.5 x 84.0mm) - and is significantly lighter - 19.2 oz (545g) compared to 36.2 oz (1025g). The build quality of both f/1.2 lenses is very high. Because of their solid build and large amounts of glass, both lenses feel heavy relative to their small-medium size. Pictured above from left to right are the Canon EF 35mm f/1.4L USM Lens, Canon EF 50mm f/1.2L USM Lens, Canon EF 85mm f/1.2L USM Lens and Canon EF 24-70mm f/2.8L USM Lens. The same lenses are pictured below with their included lens hoods. Both the 85 f/1.2 and the 50 f/1.2L fall short of Canon's top AF performers. Though not terribly slow, the 50 f/1.2 uses a front-focusing design that extends/retracts the front lens elements inside the lens barrel. Moving this large amount of glass yields an AF speed is not on par with Canon's ultra-fast rear-focusing lenses. This Ring USM implementation is very accurate (including in AI Servo mode) and is quiet - making a "shhhhh" sound - and FTM (Full Time Manual) focusing is enabled. The focus ring is smooth, slightly stiff and very well damped. This is a mechanical manual focusing lens - unlike the 85 f/1.2's focus-by-wire design - I like this design better. The Canon EF 50mm f/1.2L USM Lens adds a feature lacking on the 85 L II but common on Canon's newer L series lenses - weather sealing. I should say weather-sealing-capable because a filter is required to complete the factory weather sealing. The front lens elements that extend/retract inside the lens barrel require a 72mm filter to complete their sealing. The filter attaches to the outer lens barrel - and does not rotate or extend. While the physical features of this lens are mostly excellent, they would not be worth much if the resulting image quality was not good. To this regard, the 50 f/1.2L turns in decent but not-as-good-as-I-expected sharpness. It is reasonably (and usably) sharp at f/1.2 and continues to get sharper as it is stopped down several stops. From f/1.2 to somewhere between f/2 and f/2.8, no other Canon 50mm lens is as sharp as this one at respective apertures. At around f/2.8 through f/5.6 or f/8, there are other Canon 50mm lenses that are sharper. The relatively close proximity of the ISO 12233 resolution chart did not bring out the best in this lens. As the razor thin DOF allows no margin for error, I have shot this test about 30 times to ensure optimal results - the best results are posted. If you are buying this lens, you probably intend to use it primarily at its widest apertures where it delivers best-available sharpness - and stopped down results are still very decent. 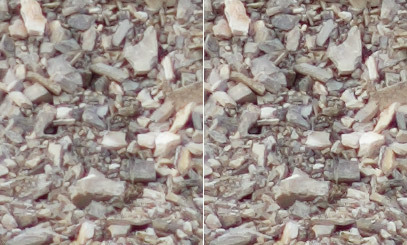 The 100% crop sample pairs above and below are from the same Canon EOS-1Ds Mark II Raw files. Both samples were shot with the 50 f/1.2 at f/1.2. The above sample was taken from about 30% from the center toward the upper-left edge, the sample below was from near-center of the image. The samples on the left were sharpened with a DPP setting of 1 (very low) while the samples on the right were sharpened with a setting of 2. Sharpness isn't everything. And the Canon EF 50mm f/1.2L USM Lens delivers excellent results in other important areas. Flare is especially well controlled - This helps the 50 f/1.2 to lens deliver excellent color and contrast. Results even at f/1.2 are very pleasing. I see slight barrel distortion at minimum focus distance but that is mostly gone by about 30" (.8m). CA (Chromatic Aberration) is noticeable at the wide end of the aperture range - expect it from areas of very strong contrast at f/1.2. Exposure accuracy is very good. Corner light fall-off ranges from strong at f/1.2 on a full frame body until becoming negligible at f/2.8 or so. Users of 1.6x FOVCF bodies will notice only slight light fall-off in the corners at f/1.2. With a widest-currently-available f/1.2 aperture, the 50mm f/1.2 allows extremely fine control over depth of field - allowing the primary subject to pop. An 8-blade circular aperture delivers best-in-class out-of-focus blur even when stopped down. This lens allows handholding and action-stopping shutter speeds in very low light conditions. Candlelight yields a shutter speed of 1/80 from a few feet away at f/1.2 and ISO 1600 - easily enough for handholding this lens. This lens is sure to be favorite of wedding and portrait photographers as well as photojournalists. Action sports photographers with reasonably close subjects are another group that will regularly employ this lens - as long as its AF can keep up with their particular subjects. Like the 85 f/1.2L II, the 50 f/1.2L has an f/16 minimum aperture. The 50 f/1.2 L's closest focusing distance is 1.48' (.45m) - nearly identical to the 50 f/1.4. The relatively low maximum magnification of .15x can be easily enhanced to .39x and .67x with 12mm and 25mm extension tubes. Canon recommends manual focusing when using extension tubes with this lens. 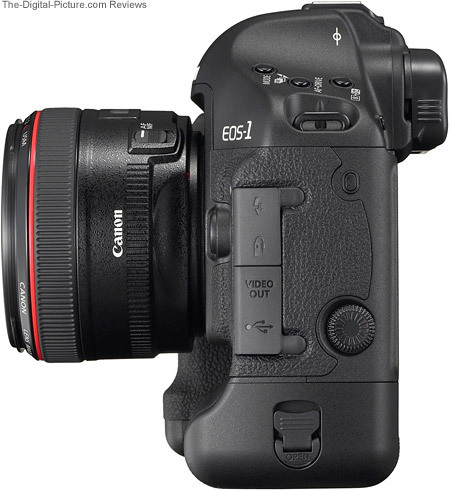 A Canon 500D Closeup Lens will provide .25x of magnification - the 500D is more helpful with longer focal length lenses. It was been mentioned by others that the 50 f/1.2 exhibits slight back-focusing at these maximum magnification, near-minimum focus distances. Since I don't shoot with a lens like this at these distances very often, I had to go back and check mine. And my aditional tests confirmed a slight backfocusing at 10-20" or so. 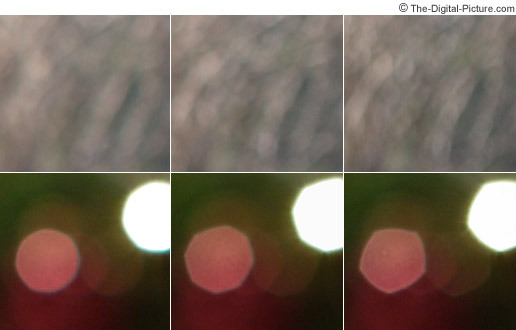 The mis-focusing isn't dramatic, but will have a slight negative effect on image sharpness at these distances. A Canon ES-78 Lens hood and Canon LP1214 Lens Pouch are includes in the 50 f/1.2L box. Like the 50 f/1.4 and 50 f/1.8, the lens hood uses a not-as-cool-looking-as-the-petal-type flat design. An advantage to this design is that you can sit your lens or camera/lens combo in a hood-down position on a flat surface without it immediately tipping over. This makes changing lenses or using multiple cameras easier. Like most of Canon's L primes, the 50 f/1.2 has a 72mm filter diameter. The lens cap is a bit hard to reach within the installed lens hood. The Canon EF 50mm f/1.8 II Lens is the low end 50. 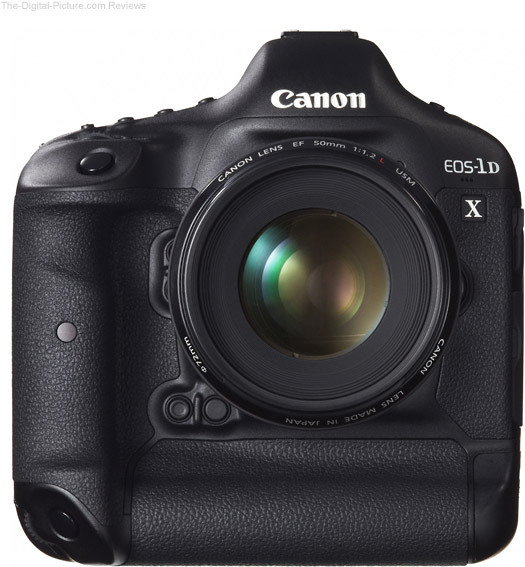 It delivers very good image sharpness - especially for the extremely low price. It is even slightly sharper than the f/1.2 from f/2.8 through f/8 or so. It is very light (4.6 oz/130g) and very small (2.7" x 1.6"/68.2mm x 41.0mm - WxL). CA is minimal. The downsides ... First, the lens feels like a toy (for the relative price, it is practically disposable). It has all-plastic construction including the lens mount (the optics are glass of course). A 5-blade aperture delivers a very harsh background blur quality and flare is a problem for this lens. It delivers only adequate color compared to the two other 50s. AF is noisy and the MF ring is barely useable - there is no FTM and no distance window or markings. The 50 f/1.8 extends up to 5/16" during focusing. But, it is a very sharp lens for a price that is a small fraction of the cost of the 50 f/1.4. The Canon EF 50mm f/1.4 USM Lens falls in the middle of the three 50s I am discussing in many ways. It has the middle price, the middle build quality (decent), the middle weight (weighing 10.2 oz/290g), the middle size (WxL: 2.9" x 2"/73.8mm x 50.5mm) ... It delivers the middle background blur quality - much better than the f/1.8 but not as good as the f/1.2. It shows the middle amount of CA, but often shows strong halation at f/1.4 (yields a soft, dreamy look). It also shows the middle amount of flare - noticeably less than the f/1.8 and noticeably more than the f/1.2. Again, in the vignetting category, the 50 f/1.4 delivers better performance than the f/1.8 but does not perform as well as the f/1.2 (at the same aperture settings). It is slightly sharper than the 50 f/1.2 from f/2.5 through f/8 or so and slightly sharper than the 50 f/1.8 at all comparable apertures (the f/1.8 wins some Full Frame corner comparisons). The 50 f/1.4 quietly focuses slightly faster than the f/1.2, but is not well damped. The f/1.4's MF ring is much more usable than the 50 f/1.8's but is not nearly as nice as the 50 f/1.2's. Like the 50 f/1.8, the 50 f/1.4 extends up to 5/16" during focusing. My 50 f/1.4 exposes 1/3 stop brighter than the other two 50s (the other two being correct). 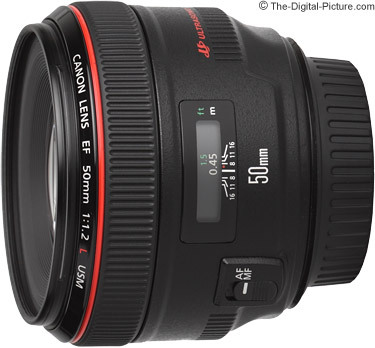 The Canon EF 50mm f/1.4 USM Lens delivers excellent image quality for the price. Although the maximum aperture opening differences between these lenses is obvious, the affect of the lens design and aperture blades on the background blur is not. 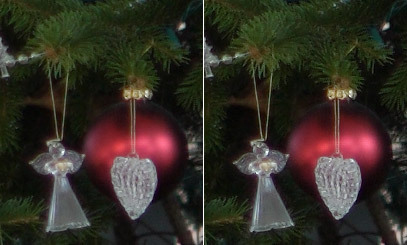 In the above comparison image, the background blur of the Canon EF 50mm f/1.2L USM Lens (left), Canon EF 50mm f/1.4 USM Lens (middle) and Canon EF 50mm f/1.8 II Lens (right) are presented. These pictures were taken using identical (neutral) settings (that include an f/2.8 aperture). A tripod was used - the camera was focused on a stationary test target. In the top row of pictures, the difference in background blur harshness is easily seen. In the lower row of pictures, the effect of the shape and quantity of the aperture blades can easily be seen even at the relatively wide f/2.8 aperture. As I noted before, the f/1.2 performs best in the bokeh category - followed by the f/1.4. The 50 f/1.2L is shown above mounted on a Canon 1D X DSLR and compared the 50 f/1.4. The 50 f/1.2L is going to be purchased by those who want the best image quality they can get from f/1.2 to f/2, by those needing a more-pleasing background blur quality than the other two 50s deliver, by those requiring the least amount of lens flare in their results or by those who need/want the best quality (build) lens they can get. I can't say that the Canon EF 50mm f/1.2L USM Lens is as great of a value as the 50 f/1.4, but I do think it is worth the price to serious photographers who need what it can deliver. This site and my family depend on your support. Can you help right now? Please support this site and my family by using the links provided throughout the site to make your purchases. Help | © 2019 The Digital Picture, LLC | Bryan Carnathan – Powered By Christ!